OUTLAW Campers are built 'TOUGH' for the Off road 4x4 Adventurer. Our unique designed camper will allow you to slide-on or off our trailers, this giving you the option to use your trailer for other things and not just a camper. 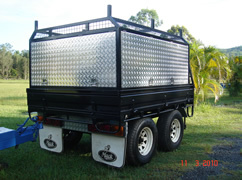 We can also build OUTLAW slide-on campers for your vehicle tray, for more info browse our website, email us or call us on 1300 661 989. 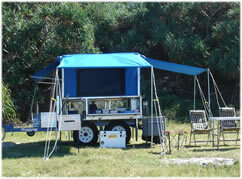 Become a member of our Outlaw Campa Club. Get discounts on our Outlaw Adventures. Free with any purchase of Outlaw Camper Trailer.